Home » Blog » How Do Mice & Rats Enter My Home? 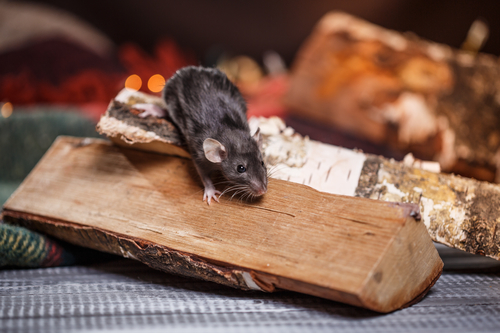 If you have had a rodent problem in the past, or if you are dealing with one right now, then you are likely curious as to how the critters got there in the first place. Well, when it comes to finding a warm spot to settle down, mice and rats are experts and, unfortunately, it is probably easier for them to get in than you might realize. These creatures are excellent at squeezing through very small gaps, and most people are surprised to discover how small of an opening they can enter through. Whether it is cracked in your siding, holes in your masonry, gaps in your roofline, or some other seemingly tiny space, there are countless options for these guys when it comes to sneaking onto your property. This causes a lot of problems for homeowners who feel confident that they have adequately sealed off any potential entry points, only to find themselves facing the same problems over and over again. If you want to ensure rats and mice stay off of your property for good, then it may be time to trust in a team of experts to get the job done right, once and for all. Fortunately for folks in Roswell and its surrounding areas, the team at Smart Solutions Wildlife Removal is qualified and ready to help. Contact us today to learn more about your options, and we will be happy to set up a time to inspect your property for unwanted house guests. We’ll have you equipped with solutions in no time. So, what attracts rodents in the first place? Well, you are definitely more likely to spot them in colder weather. The warm comfort of your home is extremely appealing when temperatures drop, so keep your eyes and ears open during the cooler parts of the year. They also love picking on any scraps that may have gotten left out, so do your best to tidy up after meals and snacks. If you always have food out, they are going to want to take advantage of it, so wipe down the table, pack up leftovers right away, and keep your floor swept. We get that this isn’t always easy to do, especially in a house with young children or pets, but it’s a step you’ll be happy you made when those rodent infestation problems go away. If you are sick of spotting these critters and dealing with the damages they are known to cause, then call on our expert team to help you out right away. We will catch the animals in a safe and humane way, then perform any repair or cleaning services you may be required as a result of their presence. Then, we will identify any possible entry points and seal them up, so you don’t need to stress about these pests coming back any time soon. Trust in us, and we will have your back every step of the way! If you have wildlife in your home, there is no time to waste. Get our qualified and experienced staff on the job today.